Summer is the best time to take advantage of New York City’s opportunities. With thousands of available internships with the best companies in the world, it’s the perfect time to make a name—and a resume—for yourself with these opportunities. The start of the spring semester is the perfect time to begin your summer internship search. You can assist scholars with HTML, CSS, Ruby, and more at the Kode with Klossy summer camp for young women. With supermodel, Karlie Kloss, as your boss, it’s sure to be an encouraging and engaging summer opportunity. At Google, interns have the opportunity to work in Information Technology. The application website states that interns will “provide support for desktops/laptops and user access to corporate network and applications both on the network as well as through remote VPN access,” as well as “assist with moving equipment and users,” and much more. Also watch out for internships at Bloomberg, NBC, Adobe, Sprint, and News Corp. No matter what company you choose to work for—or get accepted to work for—you will gain incredible industry knowledge to shift your career forwards. 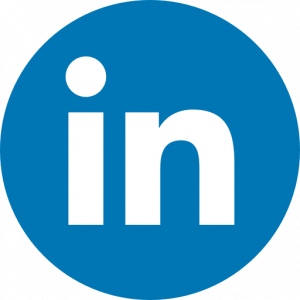 Job search engines and platforms like LinkedIn, Indeed, and Glassdoor are helpful resources for finding companies that have internship openings. If there is a company that you really want to work for, but their openings don’t show up on any of these sites, then head directly to the company’s site to find their positions and applications. Sending a quick email to their hiring manager is also a good way to get your foot in the door. If you’re looking to expand your horizons or just gain more experience, the knowledge that you can gain from industry experience will stick with you forever. If you apply and are accepted, let us know! We want to celebrate with you and cheer you on. 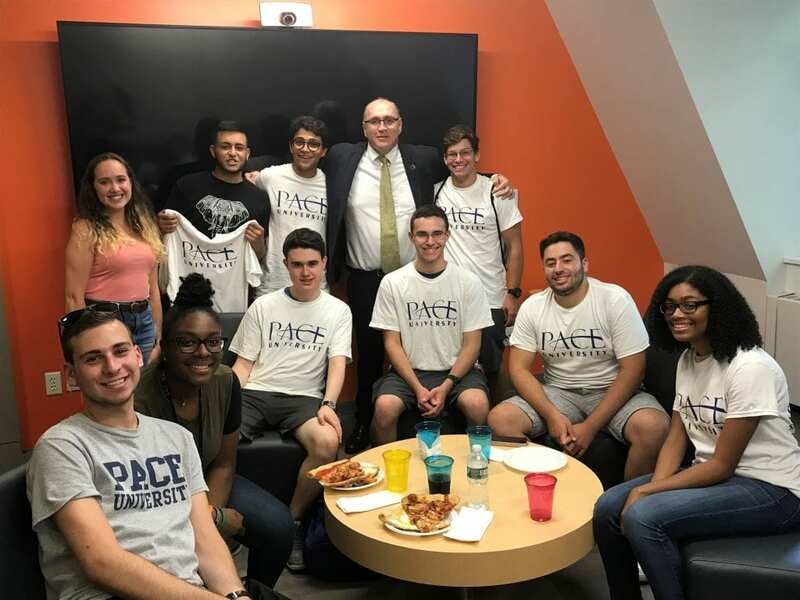 Welcome new students to the Seidenberg School of Computer Science and Information Systems at Pace University! In special events held on each of our campuses, the Seidenberg School gave a little taste of our culture to our new family. In New York City, a pre-convocation breakfast set up new students for their big day. We had a great turnout of new undergraduate students from all over – from New York to California, and from countries afar like Ukraine, India, and China. The party in Pleasantville was a gathering in the evening, where current students, staff, and faculty turned out to meet our fresh faces. 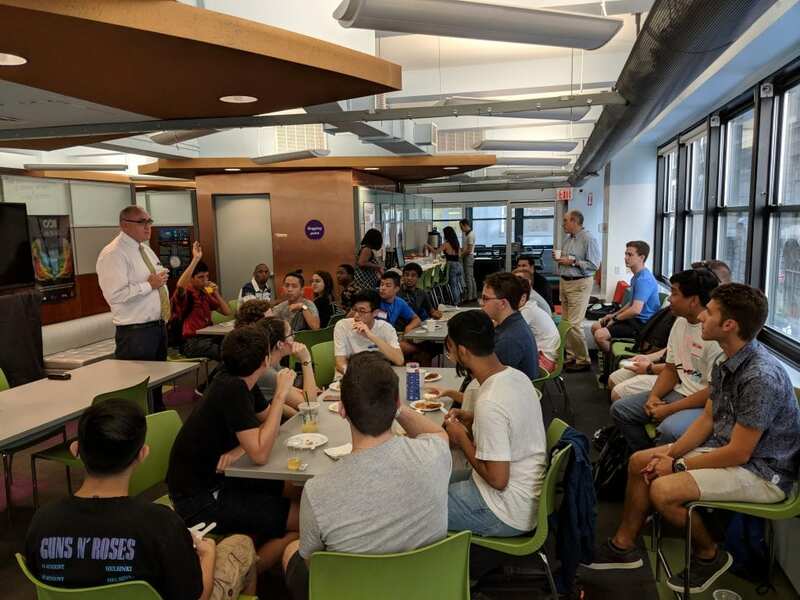 Dean Jonathan Hill welcomes new students on the New York City campus. “We are in an environment that is very friendly; you will have lots of support.” Dr. Christelle Scharff, Chair, Computer Science. “What makes Pace different is this environment. This is going to be your family for the next four years.” Dr. Miguel Mosteiro. “If you find yourself getting overwhelmed at any time, don’t panic. Talk to your advisors, reach out and talk to us. We were in your positions many moons ago.” Dr. James Gabberty, Associate Dean. “It’s a big change going from high school to college. One thing I’d advise is taking care of your time management – there are only 24 hours in a day, so use them wisely.” Vicente Gomez (BS in Computer Science). “Health and wellness is super important now that you’re in college.” Vivian Ng (BS in Computer Science). “Be proud that you are here.” Dr. Jonathan Hill, Dean. Dean Hill with some of our awesome returning students on the Pleasantville campus. “As a previous international student at Pace University, New York City – not just Pace – became my classroom. Huge opportunities will come your way.” Stephanie Elson, Assistant Dean of Recruitment and Retention. “Networking is key.” Dr. Darren Hayes. “You can work, study, do an internship, do a research project with a faculty member, but you will have to pick and choose. Do what you love and you will do well.” Dr. Christelle Scharff. “It’s not just what you do in the classroom but what you do outside.” Dr. Darren Hayes. “You are about to put many years into accomplishing something. The proof in the pudding is when you get a job after graduation. You are now preparing for a career, so think about what you want to do now and start taking the steps you need to get where you want to be.” Dr. James Gabberty. New or returning to Pace University and want to talk? Stop by the Seidenberg School at any time on either campus. We are always here for our students and want to help you have the best experience you can at Pace University. Contact us to set up some time to talk or just drop by. And this brings an end to the Spring break! Since it’s been a while, getting back to your regular routine can be hard when fun things you did over the break are still on your mind. Whatever you did over the spring break – whether you went on an amazing vacation and filled up your Instagram with once-in-a-lifetime experiences or you went home and visited family and friends (and your old part-time job), getting back into the swing of life at Pace isn’t always easy. With so many exciting things you did, it’s easy to get distracted as time runs on. Remembering your happy times of the break, looking at the photographs you clicked, memorizing the amazing stuff you did, it’s really not easy to get away from your holiday mood. Unpack your stuff and settle back as soon as possible. Looking at the packed baggage will make you stay in holiday mood for a longer time. Clean your home. Keep your things organized. Neat and clean surroundings will make you feel refreshed, positive, and ready to tackle the rest of the semester. Make an effort to get back into your sleep cycle. 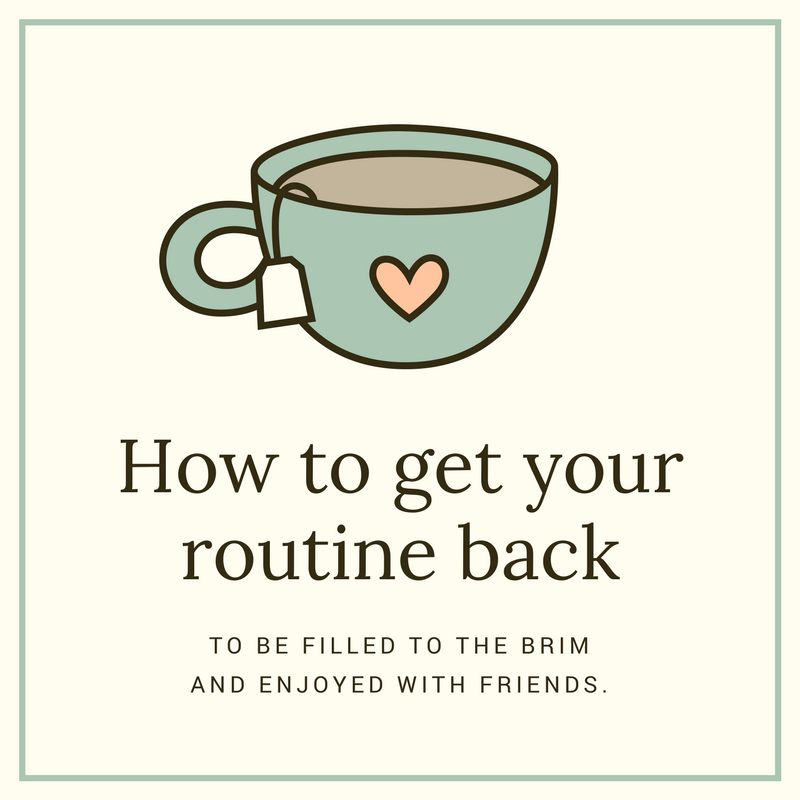 By focusing on getting the rest your body and mind needs, you’ll find you have more energy to get back into your routine. Organize your schedule. Make a list of things you need to work on and continue with your tasks enthusiastically. Putting your schedule and to-do list somewhere visible like on the wall where you can see it every day increases motivation (and helps you make sure not to forget anything). When you look at it you will be encouraged to resume your work quickly. Be excited! At Pace, there’s always a lot of exciting stuff to do. The things you left behind back before your break – and that coding homework that still needs to be completed – is still waiting for you. Make sure you get everything on your to-do list, schedule your day, and enjoy getting back into your college routine. So, yeah, spring break was awesome – but now it’s over. It’s time to hop off your bed and start working on your routine. Welcome back and make the most of it! 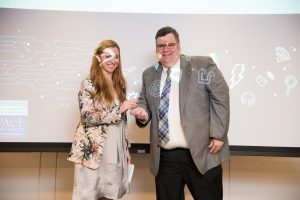 Now in its 22nd year, the Leadership & Service in Technology (LST) award is bigger and better than ever, and this year’s celebration was an unforgettable evening. On Monday, April 24, 2017, an impressive company of Seidenberg supporters came together as we honored Senior Executive Vice President and CIO at BNY Mellon Suresh Kumar for his pioneering leadership and innovative thinking in transforming finance and technology practices throughout his exceptional career. BNY Mellon kindly provided the space and the catering for the LST awards at its downtown location. Guests enjoyed appetizers and a full bar during the networking hour before the main event. 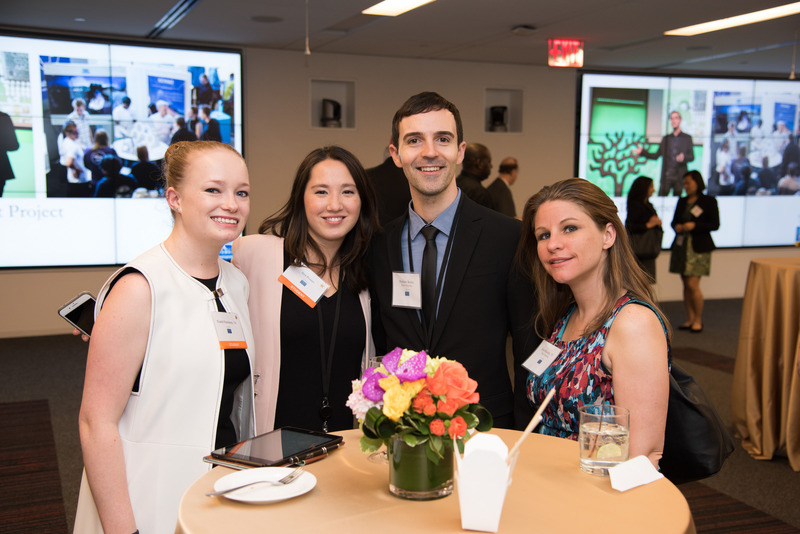 The room was packed with many of our dearest friends, including Seidenberg alumni, business partners, and friends from the Pace community. It was a warm atmosphere as people greeted old friends they hadn’t seen in a while, made new ones, and shared a fun evening and business cards alike. Seidenberg students were also present to give demonstrations of their projects facilitated by the NYC Design Factory. 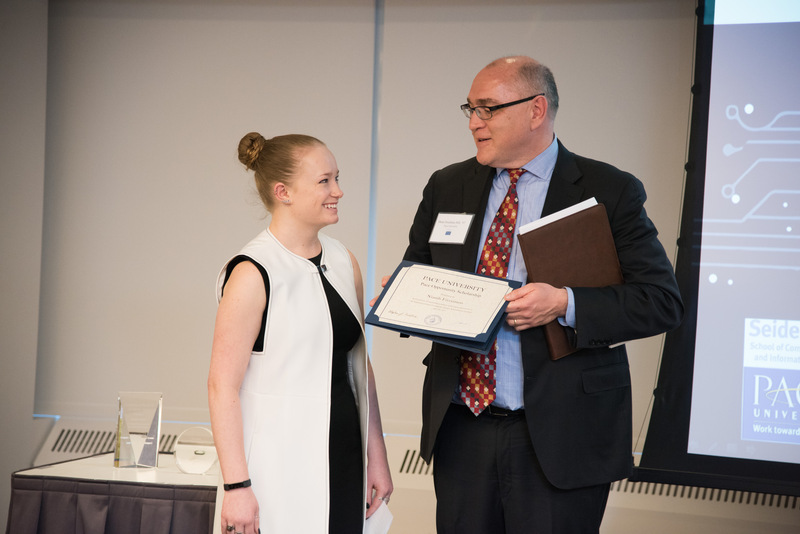 When awards time came, guests were seated and Dr. Jonathan Hill, Dean of the Seidenberg School, introduced the first speaker of the night – our student, Niamh Fitzsimon. Niamh is an honors student, vice president of Pace Women in Tech, and resident Googler (she’s interned there twice so far and will do again this summer!). 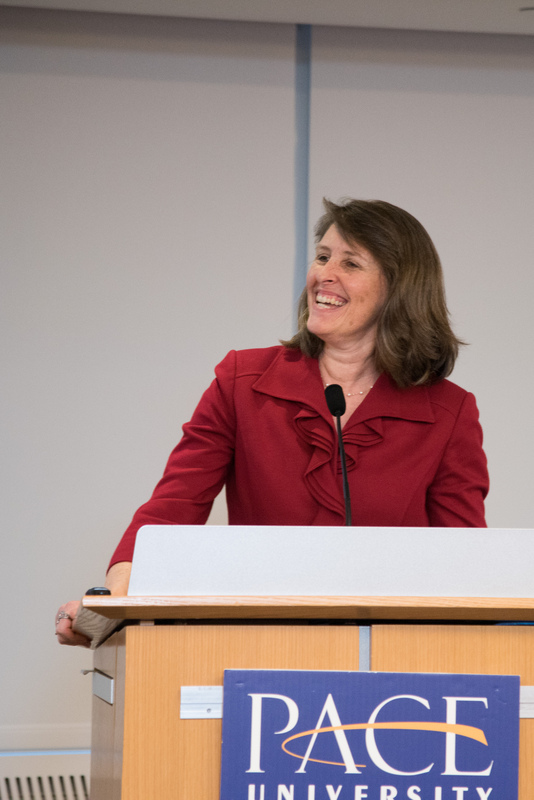 Following Niamh’s remarks, Lucille Mayer, the Chief Information Officer of Client Experience Delivery at BNY Mellon took to the stage to introduce the keynote speaker. Lucille has worked with the evening’s honoree Suresh Kumar for over 25 years. “Suresh is not only a visionary, as you’ll hear for yourself, but he is also a leader in championing and developing talent,” she said. Lucille briefly discussed success in the tech industry, including the top tech trends for the year such as augmented reality, which has seen a swift increase in recent years due to the creation of virtual reality headsets and the release of mobile app games like Pokemon Go. She then introduced the evening’s keynote, Marie Wieck, General Manager at IBM Blockchain. 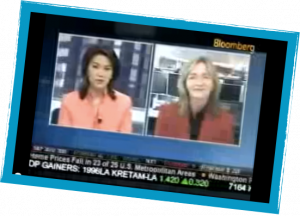 Marie discussed the exponential growth of data and the benefits of diversity. She added: “Those people who can mine insights of out that data are the people who are going to accelerate their business.” Data analytics is certainly a burgeoning industry right now as companies scramble to make sense of the immense volume of data that is now collected through websites, social media, and other digital interactions. Marie also spoke towards greater diversity in the workplace, particularly regarding more women in technology. “What constitutes the best performance you can get?” she asked. “New perspectives that help you see things in a different way and that is fuel for innovation. “It’s not those who have the highest IQ but those who have the biggest EQ [emotional quotient] . . . and what brings higher EQ? More women. 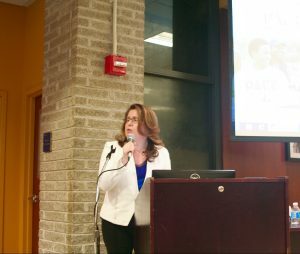 Marie noted that 36% of the Seidenberg School’s student base are women compared to a 20% national average – a statistic we are proud of and are committed to improve. “You have to teach people the art of the possible . . . 74% of girls are interested in STEM, but only a third of them pursue it,” Marie said. Many of the girls who pursue STEM had mentors, teachers, counselors who pushed them. 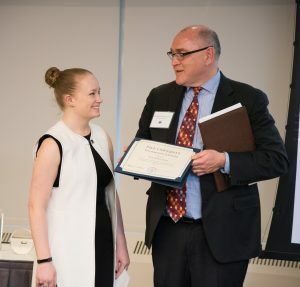 After Marie’s keynote, alumni and Seidenberg Advisory Board member, Matthew Knell, introduced the Emerging NYC Innovator Awardee, Sara Chipps. Sara is the CEO of Jewelbots, which produces programmable friendship bracelets that can connect with other bracelets in the surrounding area, enabling wearers to send each other secret messages using code. The bracelets are aimed toward middle-school girls to encourage them to get into STEM education. Dr. Hill then introduced the honoree of this year’s LST award. 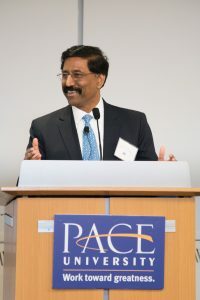 Suresh Kumar is the Senior Executive Vice President and CIO for BNY Mellon, where he is leading the Client Technology Solutions organization to become the industry leader in delivering innovative solutions that enable clients and employees to succeed. Suresh gave a wonderful presentation with excellent advice for our students and the community overall. His exemplary leadership style was apparent as he spoke: “I’m really privileged every day to work with an amazing group of colleagues all over the world,” he said. The LST award honoree went on to talk about how companies should embrace innovation and disruption for great results. Using Amazon as an example of a company that constantly innovates its techniques, offerings, and practices, Suresh warned against remaining stagnant, particularly when your competition does not. He also had four ‘rules to live by’ (or at least conduct business by). Innovation is important, but means nothing if you have a bad product. Google wasn’t the first search engine, but it was the best when it was released. Doing a phenomenal job is 1% innovation, 99% perspiration. Skype had 27 engineers. What’s App had 33. 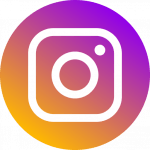 Instagram had 13. 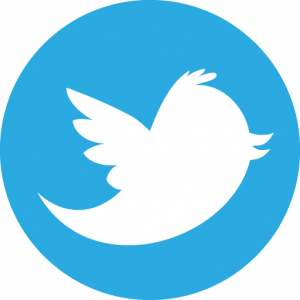 What made them create such a powerful product in such a short period of time? Constant innovation, and enough people on the team! Unfortunately, the IT department in many companies is still not considered to be the backbone of operations. 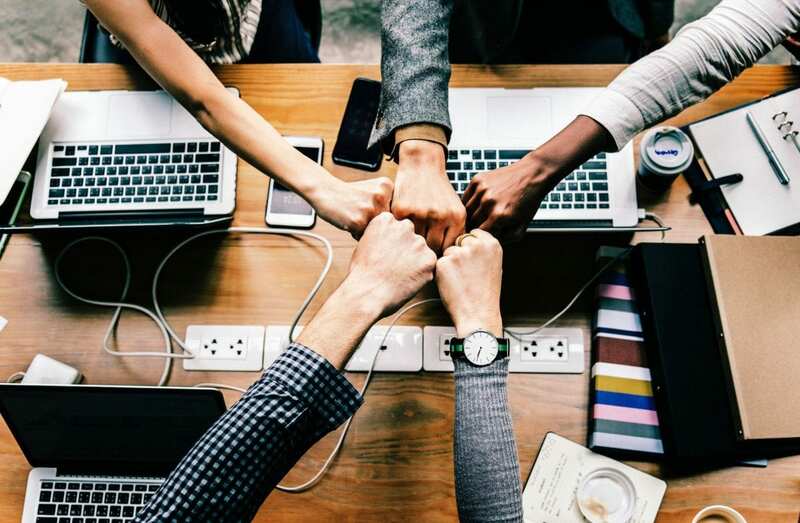 That said, an emerging model of IT looks promising – teams are small, self-governing, and are empowered to make decisions and make a difference in a large company. When given the freedom to innovate, IT teams can change the whole way an organization works for the better. 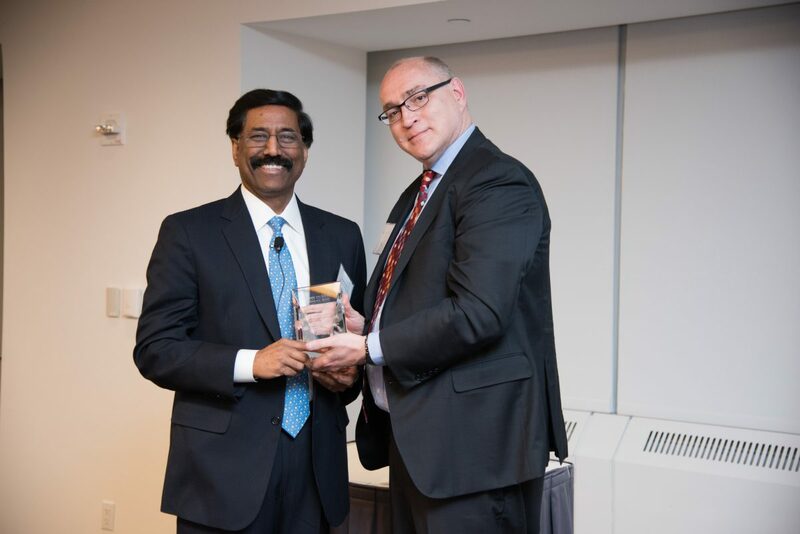 We are truly delighted to honor Suresh Kumar and his wonderful work as a leader in technology and in his work with staff at BNY Mellon. 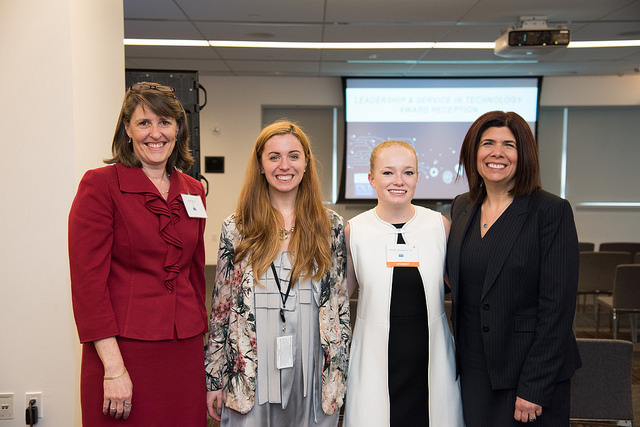 Thank you to Suresh Kumar and BNY Mellon for your contributions to the Seidenberg School and for hosting this year’s LST Award reception, ensuring it was a fantastic night for all. Our deepest gratitude also goes out to everybody who attended the event and showed their support to the School, whether by buying tickets or donating. Thank you to Lucille Mayer, Marie Wieck, Matthew Knell, and Sarah Chipps. Thanks also go to Deth Sao, our director of development, for her unending commitment to organizing an incredibly successful event. We look forward to seeing you all again next year! Helen Altshuler is a Seidenberg alumna (BS in Computer Science ’97) of whom we are particularly proud. Not only does she have a fascinating life story, but years of hard work have enabled her to progress to a position of thought leader today. 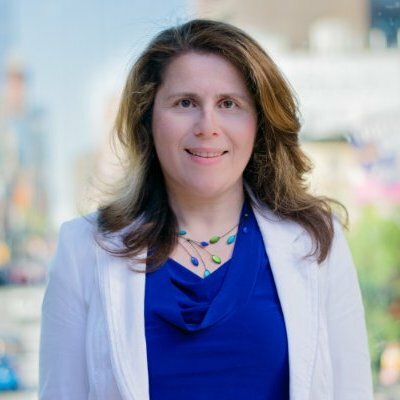 Recent articles have described her as one of the top female “engineering leaders closing the gender gap in NYC tech” (builtinnyc.com), despite her status as a noteworthy woman in tech being quite unintentional and unexpected on Helen’s part! She’s also a member of the Seidenberg Advisory Board, so we get to enjoy her presence frequently. As a senior engineering leader at Google, Helen is responsible for managing a multi-year transformation program in Google Cloud, and an Open Source platform called Bazel. Prior to Google, Helen was the CTO at the fintech startup PeerIQ, where she built data and engineering teams, created a cloud based analytics platform for peer to peer lending, and sold it to key institutional clients. She started her career as a software engineer at JP Morgan, after obtaining a CS degree at Pace University. She grew into technical leadership and Executive Director roles, becoming responsible for technology delivery in Credit Risk, Big Data and Analytics. Helen is passionate about talent development and is a frequent hackathon mentor/judge, women in tech guest speaker, and Girls Who Code facilitator. 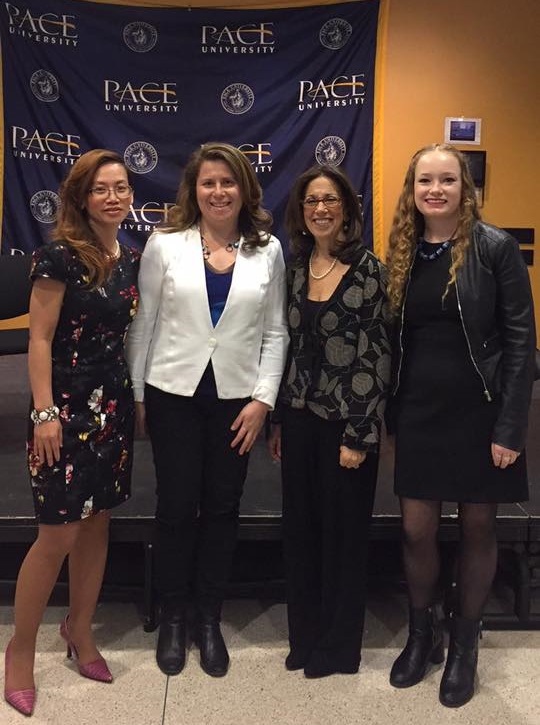 She actively promotes diversity and STEM initiatives at Pace University as a member of Pace Women in Business Steering Committee. I visited Helen at Google the day after a snowstorm in NYC. When I emailed her to check we were still on, she responded that, yes, “the city is open and so are we” – my first glimpse of a woman with extraordinary work ethic. Not long after we sat down, Helen began to describe her life. Born in the former Soviet Union (now Ukraine), Helen didn’t experience the same societal norms concerning gender as in the USA. “Women leaders were everywhere!” she said, listing the Russian astronaut Valentina Tereshkova, India’s first and only female prime minister Indira Gandhi, and British prime minister Margaret Thatcher. She moved with her family to the United States following the collapse of the Soviet Union, where limited opportunities and discrimination caused them to come to America as refugees. 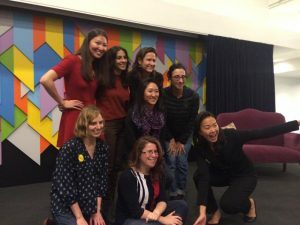 In fact, Helen never even thought of herself as a “woman in tech” until, 10 years into her tech career, she was invited to speak at a women in tech panel for the first time. Technology was just something she did, like everybody else she worked with. It was something she had always done. 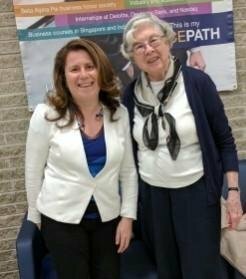 Helen reunited with one of her past Pace professors, Carol Wolf. 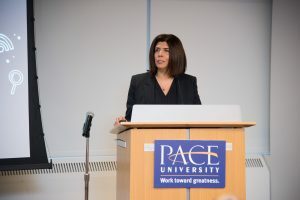 She started the Bachelor of Science in Computer Science here at Pace University in 1993. This was around the time the world wide web was really becoming worldwide, and the internet was rolling out and developing faster than ever. What was it like being in the middle of that frenzy? desk and said ‘hey, we need an intranet site’ – it was a continuation from my studies at Pace. It was pretty organic; my job was all about building technology and this was a new thing to build. After she graduated, Helen started out as a software engineer and grew her career from there. She learned that progress was good and that taking opportunities was a way to move on to bigger and better things. “But don’t move up so quickly that you have to play catch up for the rest of your career,” she warns. Even in her senior position now, Helen is an advocate of gaining and maintaining technical knowledge. It isn’t fun moving into a new position where you feel lacking in the knowledge department – in the long run, progressing too soon can hold you back. But what if opportunities don’t seem to come your way? Women in particular can find it difficult to say yes to progress, even when offered to them – and when it’s not? Many struggle to start conversations and end up waiting for a promotion that either won’t come or comes much later than it should, whereas if they had asked for it they could have received it sooner. 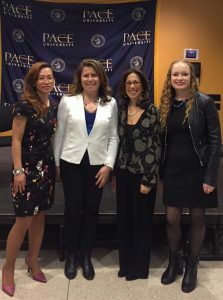 “Sometimes women rely on their managers to appreciate them,” Helen says, echoing a sentiment expressed by another of our alumna, Kim Perdikou. Imposter syndrome and plain societal conditioning are big problems for many women in technology – and in other fields. As someone with experience having these conversations and self-advocating, Helen has some advice. The notion of women in technology being a movement and of being a woman in technology herself took a hold on Helen. It was also what spurred her interest in board memberships. When I asked her why she joined the Seidenberg advisory board, she replied that she’d always been curious about it. Working at the coveted Google company means Helen knows a thing or two about career paths. So what’s her best advice for tech students? And what about getting beyond the infamous Google interview? “Camille Fournier [a technical thought leader and former chief technology officer of Rent the Runway], said that she worked as a software engineer for 10 years and achieved mastery; at that point, she could apply herself to any technology, even if she was out of practice. 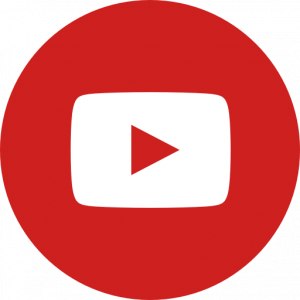 “At Google, you are constantly pushed in technical directions. Even as a leader, I’m expected to code – and I welcome that extra reinforcement. On the other hand, where I achieved mastery is in systems design and scalability, and understanding how to process data and work with data at scale. 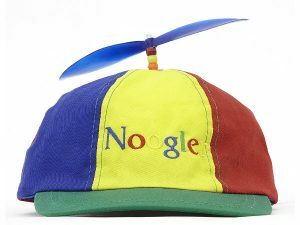 That’s what Google is all about and that’s what you learn, and it’s also important in the fintech sector. You want to keep your systems working under different conditions. Those are the skills that help you get a job in any industry. No matter what systems you work on, they need to scale and they need to be reliable. Diversity is one of the things that makes New York great. 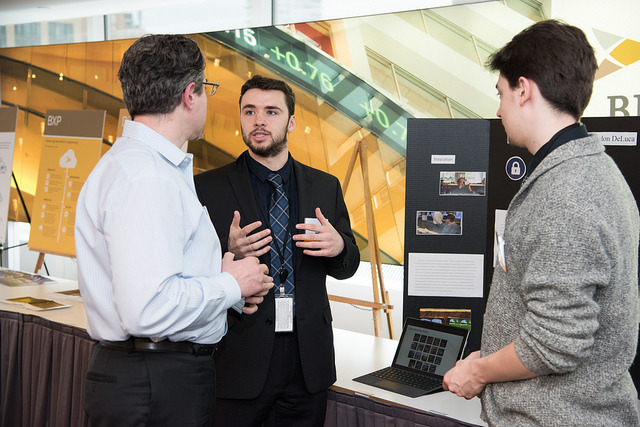 It’s a city of hard workers, a landscape that is reflected within the walls of the Seidenberg School as students rush from class to internship to workshop to co-op job to networking event. 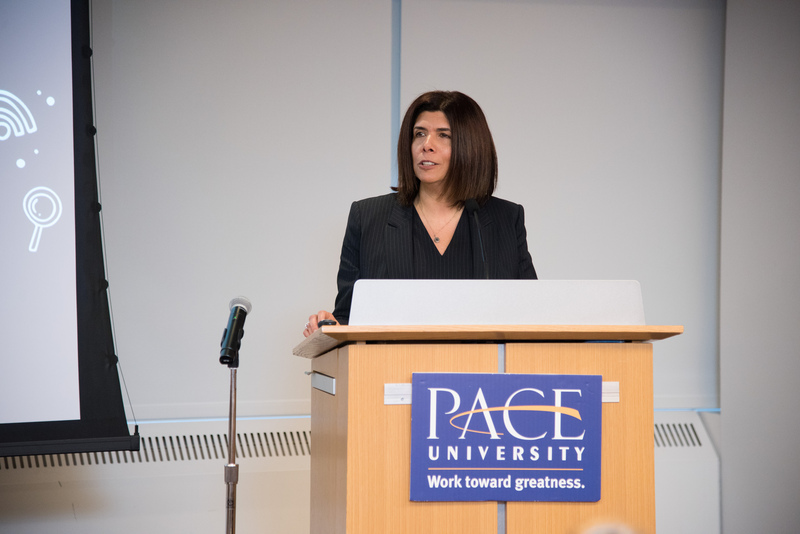 Recently, the New York Times ranked Pace University #2 nationwide for the upward mobility of our students. Students who come through our doors from less privileged backgrounds end up graduating and going on to great things. When Helen moved here in 1993 with $3000 to her name and the determination to make a good life for herself and family, she exemplified that quintessentially New York attitude – and ours. Kim Perdikou graduated from Pace with an MS in Information Systems in 1993. She has held positions with companies like Dun & Bradstreet, Reader’s Digest and was the CIO then Executive Vice President at Juniper Networks. She has been the Chairwoman of the Board of Directors of iPhotonix, an Optical and SDN company, since April 2015. She is also an Investor and Chairwoman of the Board of REBBL, an herbal beverage company. Kim additionally serves as a Board Director of CyberArk, a technology cyber security company. She is also a member of the Advisory Board for Trunomi, a financial technology company. She’s also an incredible human rights advocate. As an incredibly accomplished alumna, Kim has had a lot of experience which helped her uncover one of her strongest passions: fighting the global problem of human trafficking. We spoke with Kim about her experiences and unique perspective. 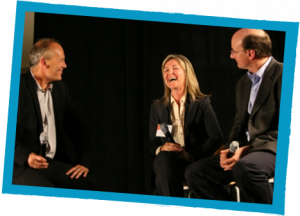 What was your journey to your current position as Chairwoman of the Board of Directors at iPhotonix like? I had been invited to dinner with a friend in Bermuda and met a young couple who were on holiday. The guy was in a startup and was friends with the CEO of iPhotonix. When the CEO was looking for a new board member, he reached out to me. I joined the board and, when the chairman left (his company was acquired and there was a conflict of interest), the shareholders asked me to be chairwoman. I did say no for about an hour and then they congratulated me! Case closed. Did you come across unique challenges as a woman in technology? When I was 5 my mother saw a program on TV about mathematical children who are different and she tried to contain me in that ‘different’ box because I was very into math. What happened was I thought if I am different I am going to be different on my terms! So I was. One time when my father sold a car at work and came home, he brought a new record player – the first we ever had. My brother and sister sat and watched the record go round and sang to the songs and I sat at the other end of the table, aged 5, counting the money. I did the taxes for my dad’s business when I was 12. When I discovered there was a glass ceiling, I realized “I’m never going to be a director.” My husband didn’t understand because he’d started his own businesses and done everything he’d wanted. “Don’t be ridiculous, it’s all in your head,” he told me, and even though it isn’t all in your head, he was right: my own behavior was stopping some of my progress, so I had to change my behavior. I had this very wrong belief that if you worked really hard your boss would recognize it and you’d eventually get a job doing what you really should be doing. That is utter rubbish. You need to know where you want to go, picture it in your head, and talk to people to find out how to get there. Men know exactly where they want to be. Part of the behavior is our own behavior – if you go along with what’s expected of you, you won’t ever break free of those expectations. I started taking steps to change my behavior. Here’s an example: men talk to each other about sports, so I learned to play golf so I could have a conversation with them. 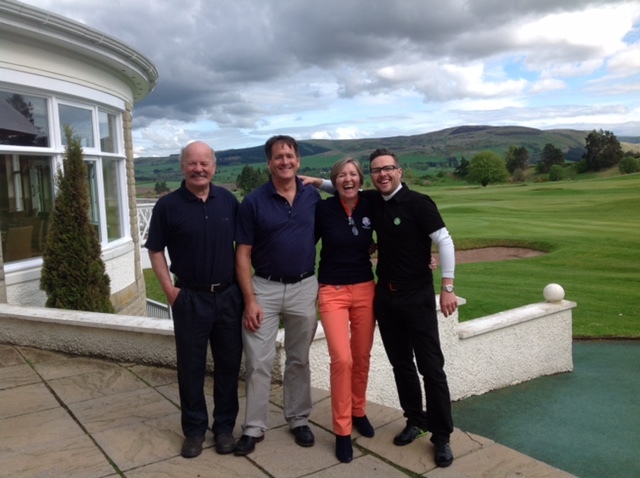 I ended up loving golf so much I didn’t allow business on the golf course! And the men enjoyed playing with me so much it normalized our relationships. That allowed me to be seen as a person, rather than a woman who they couldn’t relate to. How else did you change your behavior? I would do things to be helpful that weren’t necessarily part of my job, which would benefit others but not me. For example, a software group was going to be moved to another executive but they didn’t want to move it yet because it was so ‘delicate’. Even though it wasn’t my job, I ended up running it, putting out fires every day, but the other executive was the one getting paid and promoted. Everybody who is not happy in their careers blames “my boss, my this, my that,” but it’s up to them to change their situations. You will not change what other people do, but you can change how you behave, how you react, and where you want to go. If you want a job, you have to ask for it. Don’t sit back and wait for someone to recognize your talents. Ask for promotions in a non-confrontational way without time pressure. And don’t start doing the job until it’s actually yours. When going for a promotion or new job, I learned that talented executives would outline a plan of what they were going to do and wouldn’t actually do it until they had the job and budget to accomplish it. Once I started to learn how people did things at the executive level I became a lot more prepared. I would have a list of things I would do and things I would not do. And I would stick with it. Tell us about your work with REBBL and Slavery is Over? Why is it important to you? 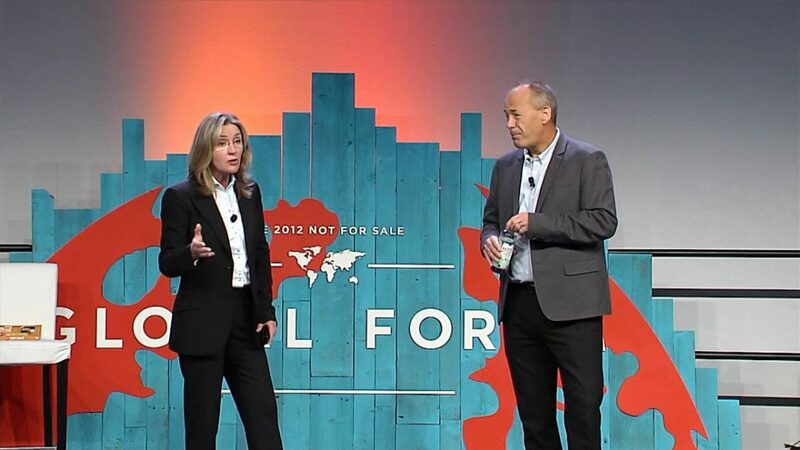 Juniper Foundation built a relationship with Not for Sale (NFS), which is an innovative not-for-profit to re-abolish slavery. When I learned that there are more slaves in the world today than when slavery was first abolished I knew something different had to be done to solve it. My friend Dave Batstone, Founder of NFS, had the idea of creating companies in the most economically challenged areas, where people who are the most vulnerable to slavery live, in order to address the supply chain and change the economics of the area. There are so many vulnerable people in the world. They are vulnerable because they are so poor: there are no jobs, no money to be made, so when somebody shows up in their village promising them jobs and money overseas they jump at the chance. They are told they will be given passports and work visas and that they can work in the USA or UK and make enough to send back home to support their families. Of course they jump at that. But when they arrive in a foreign country with only the person who brought them, they are threatened and told they have to pay everything back at an extortionate price. They are also told they are in the new country illegally, so they are forced into prostitution and other slavery and have to work 24/7 to pay off debts that will never get paid. Dave’s idea was to disrupt the whole supply chain so that people never got into the position where they were so desperate that they would agree to leave their villages, with these people, in the first place. So several companies that were mainly dependent on labor in those villages were created. We wanted to create jobs with dignity, so looked for reasons and valuable commodities a company could use from the area to create business in specific locations. Dave had a Montara Circle meeting of business, sports and government people to brainstorm ideas in 24 hours. They looked at the Peruvian Amazon where there are villages where whole families are indentured to collecting minerals used in the U.S. car industry. So we looked for something indigenous to the area that was also unique to the area and could be used for business. We discovered an herb called cat’s claw. We ended up creating REBBL, a beverage company that creates drinks from cat’s claw and other indigenous ingredients. 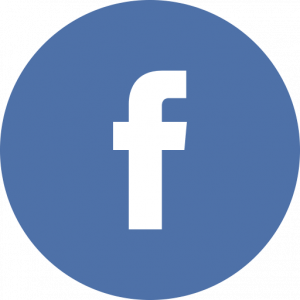 The product is very good – and that is important for financially successful businesses. But the true difference is the impact of a clean dignified supply chain created which can give back to fund the next set of businesses. 2.5% of REBBL’s revenue is donated to creating new businesses, so the whole network feeds itself. You can change the world. The way to do it in any sustainable fashion is the same as anywhere else: through economics.